Wow, where did the year go? I am not sure, but one thing I do know is that the North & East Texas County Judges and Commissioners Association Annual Conference at Moody Gardens in Galveston was one for the record books! We had the largest number of registrants, exhibitors, sponsors, and smiling faces ever gathered at a North & East Conference. And yes, we even had Lonnie Hunt! As the immediate past president, it is an honor to be able to recognize so many individuals and organizations who worked so hard in making this the type of conference our members have come to expect. 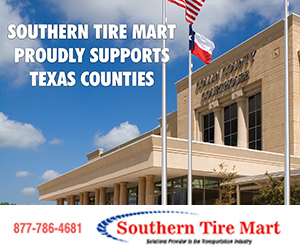 First and foremost, I would like to give a special thank you to Galveston County Judge Mark Henry and the Galveston County Commissioners Court, and especially Roxanne Lewis from Judge Henry’s office who will certainly be missed in her retirement, for once again stepping up and supporting another conference in their county as the host court. We all know that Judge Henry will one day figure out that NO is an answer, but until then, shhhhhh! This group is excellent to work with, and they always exceed all of our expectations. These conferences are the result of many hours of hard work by your officers, staff and volunteers, and I thank them for their dedication and commitment. However, a special thank you goes out to all of our sponsors and exhibitors who attend and support our conferences. Their contributions enable us to plan and to host a conference where all of the attendees have an opportunity to learn valuable information that will benefit their local communities. One of the main focuses in planning our conference is on education, and I would certainly like to express my sincere appreciation to Ashley Mathews for the tremendous effort she puts forward on behalf of the V.G. Young Institute of County Government. Ashley is instrumental in helping to plan the educational program to include the Commissioners Court Advanced Curriculum courses, so thank you, Ashley. A very special thank you goes to the ladies of County Progress, Becky Frost, Leigh Walker, and Amy Drennan. I don’t know (and am probably better off not knowing) how they continue to exceed all of our expectations when it comes to handling all phases of the exhibit hall and the registration of the exhibitors. All I know is we could not get by without their hard work; once again, this was the largest group of vendors at a North and East Conference. Thank you to Julie Anderson for her assistance and media coverage at the conference events. Julie is a tremendous help with our Resolutions Committee, and you can never tell just where she may show up with a camera in hand. Some of you may need to be a little worried, but I won’t mention any names, Lonnie, until all of the photos have been released! I would also like to express my appreciation to the ever-calm and stoic Dr. Rick Avery for performing the installation of our officers at the installation luncheon. It was an honor to have him participate in this occasion, and it would not have been the same without him. I would like to give a big thank you to my administrative assistant, Sallie Alexander, for keeping up with all of the demands over the past year, and to my Commissioners Court for allowing me the time away to serve the North & East Texas Region. I also want to thank the other executive board members of our Association for all of their support and hard work this past year. There is no region in Texas like the North & East Region. We have a strong leadership team in our Association that is committed to moving us forward, and I am so proud to have had the opportunity to represent you. My heartfelt thanks to all of you for your encouragement, support, and kind words over the past year. I would like to welcome Smith County Judge Joel Baker as the secretary/treasurer of our Association and say that I am looking forward to working hand in hand with our new president, Cherokee County Commissioner Byron Underwood, and the other board members over the next year. See you all in Waco! CEC, Community Education Centers, Inc.
North Texas Sales & Distribution, aka Hotsy Equip. Triple Blade & Steel, Inc. Contrary to what some may think, when it comes to day-to-day county business, the county judge is not in charge. Speaking of fires, the county judge is in charge when it comes to disasters. Otherwise, judges are one member of a five-member team, with the judge’s vote equal to the votes of the four individual commissioners. Some 300 of these team members gathered in Odessa April 24-27 for the West Texas Annual Conference, where county judges and commissioners were schooled on the latest topics affecting grassroots government. For example, with the continual explosion of social media, officials must now examine the concept of open meetings in a new light, as explained by Charles R. Kimbrough, attorney with Bickerstaff Heath Delgado Acosta LLP, of Austin. In his presentation titled, “The Internet, Smartphones, Social Media and the Texas Open Meetings Act: Traps for the Unwary,” Kimbrough explored the challenge of conducting business in a modern information society and presented a key question and thought-provoking conclusion. v Question: When measured against the serious litigation risk issues associated with proper compliance under the Texas Open Meetings Act (TOMA), the cautious, law-abiding public official in Texas reasonably might ask the following question: How do I not violate TOMA when using, or if contracted through, the Internet, a smartphone, or social media? Be right on the law. Be right on the ethics. Avoid even the appearance of an impropriety. Kimbrough paid special attention to the “walking quorum” and “prohibited closed meeting” violations, both criminal offenses which carry maximum penalties of six months in jail plus a $500 fine. Under TOMA, a public official commits a prohibited closed meeting violation if a closed meeting is not permitted and he or she knowingly calls or aids in calling, closes or aids in closing, or participates in a prohibited closed meeting. Under TOMA, a public official commits a walking quorum violation if he or she knowingly conspires to circumvent TOMA requirements by meeting in numbers less than a quorum for the purpose of secret deliberation, also referred to as “sequential conferencing” by members of the body in numbers less than a quorum. Both of these violations require specific intent by a public official to knowingly conspire to circumvent the requirements of TOMA, Kimbrough reiterated. The Office of the Texas Attorney General has concluded that the “physical presence of a quorum in a single place at the same time is not always necessary for a violation…to occur.” (Op. Text. Att’y Gen. No. DM-095). However, each case depends on the facts. A walking quorum or prohibited closed meeting could indeed result in a TOMA violation if intent is proven. However, the existence of innocent, limited communication without specific intent may not be enough to establish the violation, Kimbrough explained. “If you continue coming (to conferences) and studying, you can be right on the law, and right on the ethics,” he declared. Following Kimbrough’s presentation, a legislative panel took to the stage to close out the four-day conference. Rep. Drew Darby, R-San Angelo; Rep. Tryon Lewis, R-Odessa; and Rep. Charles Perry, R-Lubbock, alluded to critical issues facing both the State of Texas and its county partners, including an impending water crisis, a stagnant road system, and Medicaid costs. 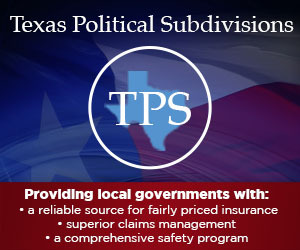 The first-term legislator called on the Texas Legislature to step out and address the tough issues, even if it means showing some “tough love” in areas such as Medicaid entitlement. As lawmakers look ahead, input from county-level officials is crucial. “We’re going to need to hear from you, and we’re going to need to hear from you on a constant basis,” Darby insisted. Communication is critical, echoed Lewis, who likened the House of Representatives to commissioners court. “You’ve got to convince other people – in this case 149 other people – who have other things on their mind,” he said in comparison. In addition, officials need to explain to their constituents “not only what is being done, but also why things are being done.” Finally, both state and county officials are faced with the problem of turning down worthwhile programs due to revenue shortfalls. “Not all good programs can be funded,” Lewis maintained, and counties face the same challenge. Along with taking part in classes and Q&A sessions, officials in the 118-county West Texas Region took care of Association business, passing five resolutions, selecting scholarship winners, and electing their 2012-13 slate of officers (see related reports).